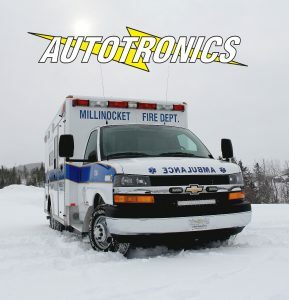 Autotronics, a family-owned business that specializes in the building and restoration of emergency vehicles, has been in business since 1958 and serves customers within Maine, New England and even internationally. Business Owner Lita Daigle approached Maine SBDC Business Advisor Josh Nadeau looking for help in restructuring some current loans as well as obtaining funds to help build a new state of the art paint facility at their headquarters in Frenchville, Maine. The addition of a new building with a paint booth would help the business decrease the company’s production time on each vehicle by 50% which would save the company significant time and money. This would also create the opportunity for 10 additional positions within the company and add roughly an additional $100,000 new tax dollars to the town of Frenchville, which has a total population of 1,087 residents (as of 2010). Nadeau thoroughly reviewed the company’s business plan and financials. He also worked with Northern Maine Development Commission and Aroostook Federal Savings to help Daigle package loans totaling $2,290,000. In February 2016, Daigle was approved for both loans, making her dreams come into fruition and opening up many doors for this growing business. 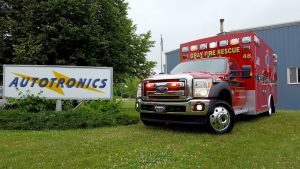 Future projects for this unique company include created a blueprint for a first of its kind completely pathogenic free, infectious disease response vehicle. The business is currently in the process of building the prototype.